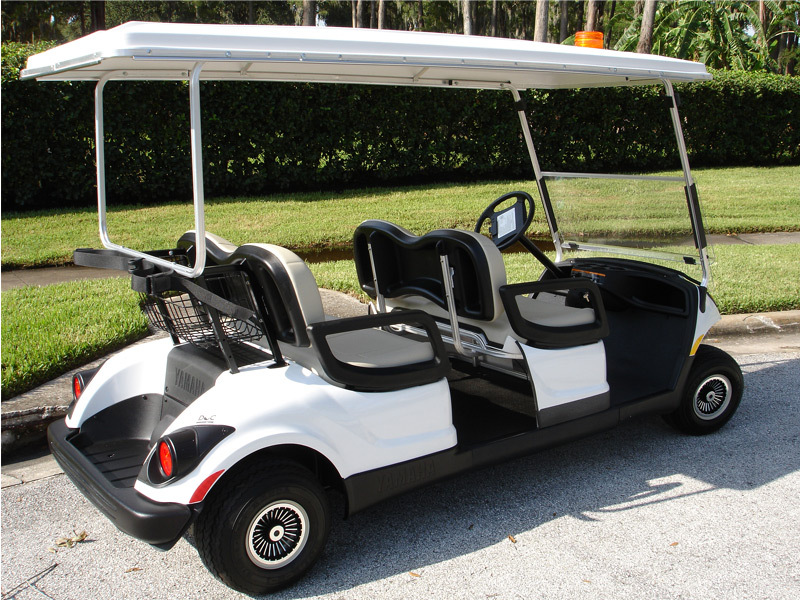 Compact and affordable, our stretched golf cars are a no-brainer when it comes to your demanding transportation needs. Built atop a tried and true Yamaha chassis you’re guaranteed high-performance without any high-maintenance induced headaches. 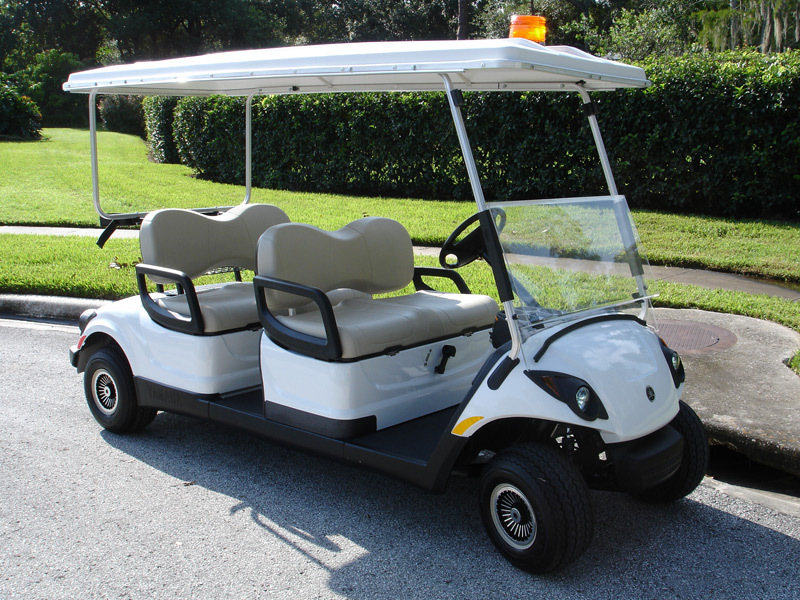 Available in both gas and electric power and in four or six passenger sizes you get endless versatility at unbeatable prices. 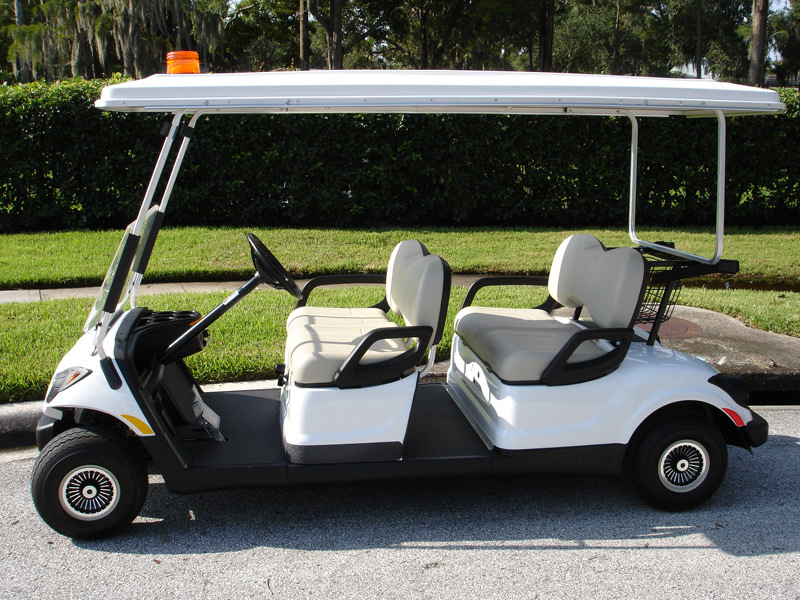 As is the case with all our vehicles you have a slew of customization options available to ensure you get the right vehicle for the job. Take a look at the image galleries below to get familiar with the four and six passenger models. 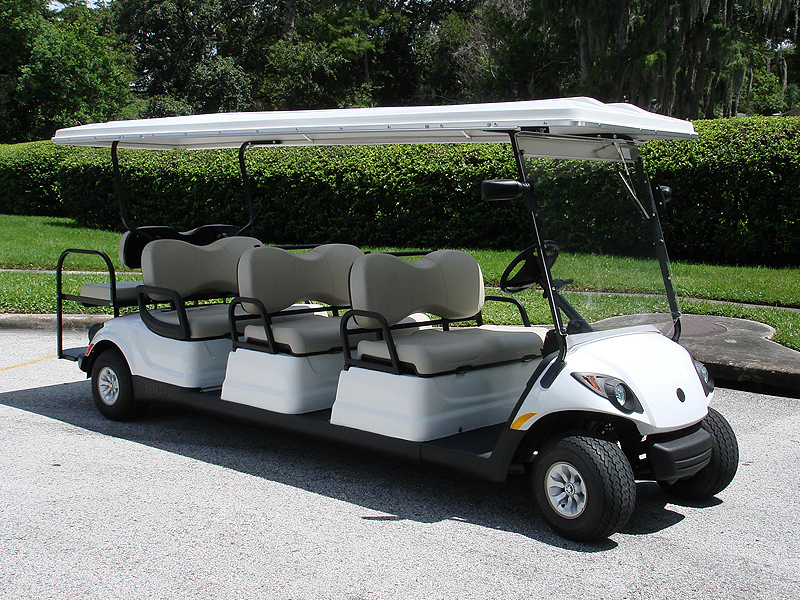 Our flagship multi-passenger vehicle, the 4-Forward is surprisingly spacious and easy to maneuver. Add a rear seat kit for more capacity without increasing the wheelbase. 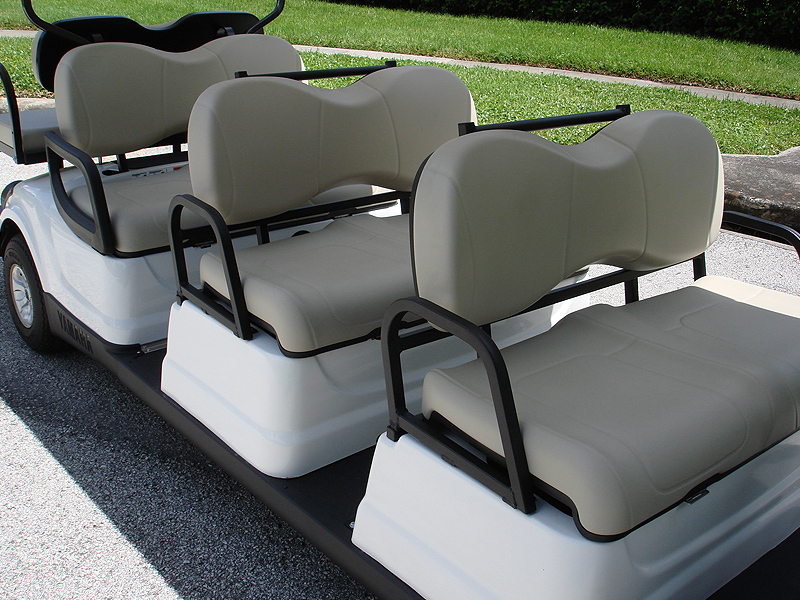 For those that need a couple extra seats we offer the 6-Forward. 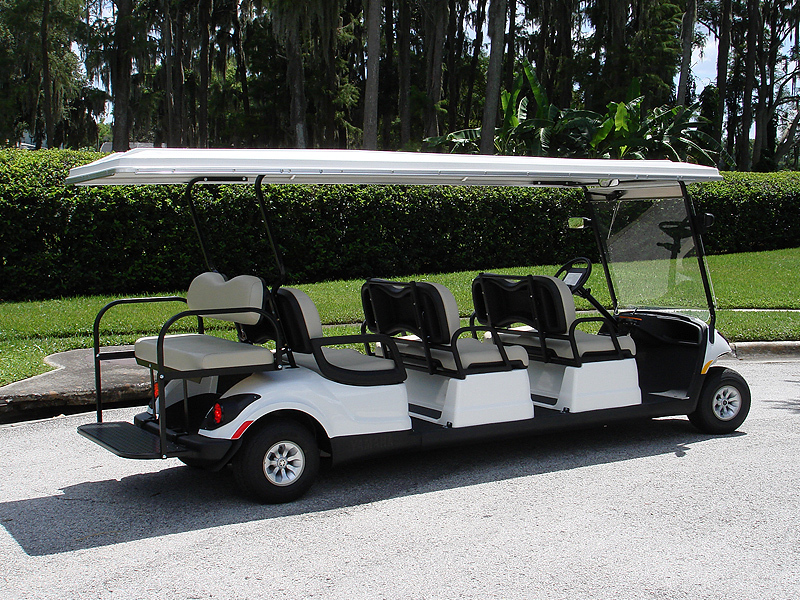 Perfect for small tour groups and shuttling customers or employees from point A to point B.